Find the room that's right for your family. At our centre in Underwood we cater for children from 6 weeks old to 5 years old. If you're interested in joining one of our rooms and any of our regular extra-curricular activities please contact us here! 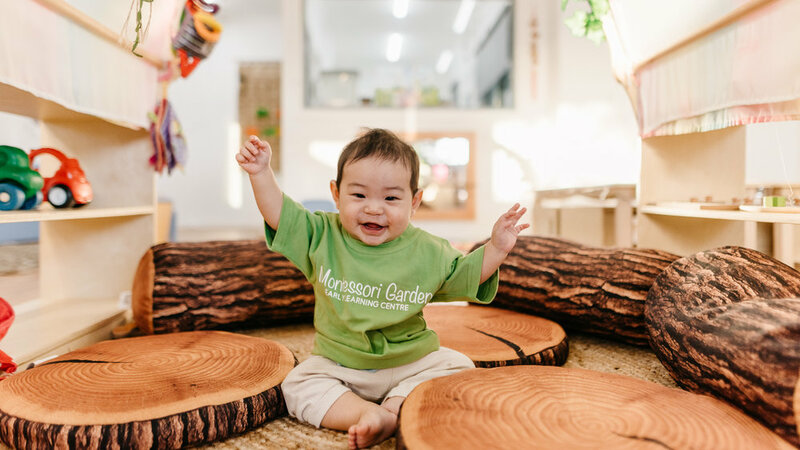 Montessori Garden Early Learning Centre will be introducing sessional care from 2nd July 2018. The children are made to feel safe, secure and loved. We encourage them to explore their world with curiosity and develop a feeling of competency and independence. This room has up to 8 babies with 2 educators. Let the adventures begin! We focus on helping the children develop their language, movement, social and emotional skills. Indoor and outdoor play is encouraged with lots of hands-on activities for the children to explore. From 15 months old, children join the Junior Toddler's Room; once they are confident and stable on their feet. This room has 2 educators to 8 children. Each child follows a individualised Montessori Program with our educators and classmates. We follow the child's interests and help them uncover the wonders in the world around them. We help them learn how to learn and explore on their own and in a team to develop their self-confidence and social skills. This room has a ratio of 1 educator to 5 children. Building confidence, social-skills and a passion for learning is our focus. The children continue progressing through the Montessori activities at their own ability level. We follow the children’s interests as much as possible, and welcome parents' input into our programs. There are 2 educators for up to 22 children. Nurture their full learning potential as they prepare for school. Our Kindergarten programme runs from 8:15am – 3:45pm and is embedded in our Montessori programme. We follow the children’s interests as much as possible, and welcome parents' input into our programs.